Rio Salado College | RioNews: Take a Selfie Stand Against Cheating Today! Take a Selfie Stand Against Cheating Today! 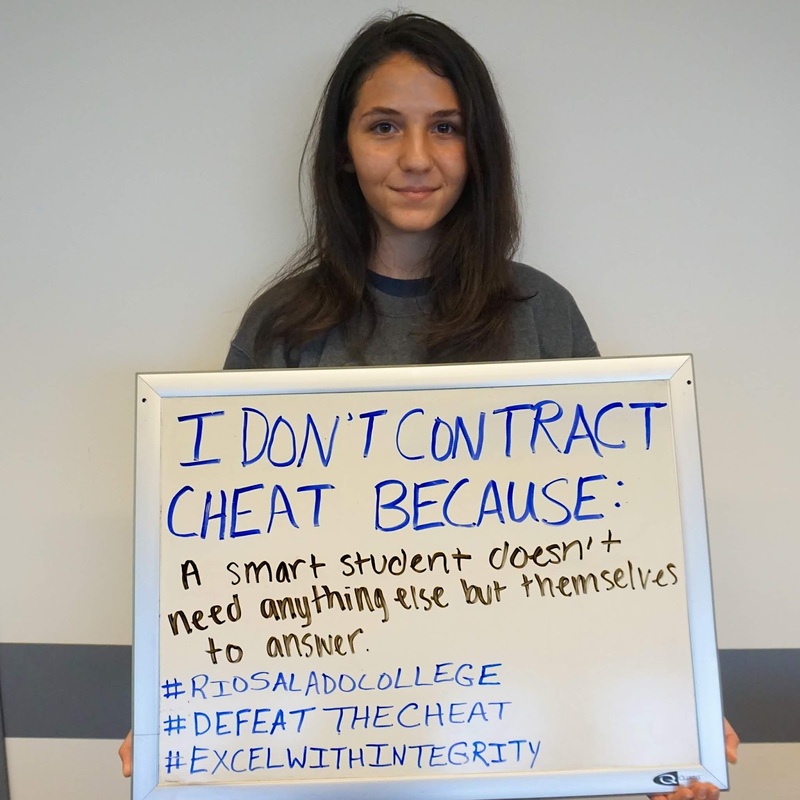 Share your statements via social media using hashtags #RioSaladoCollege #defeatthecheat #excelwithintegrity. Look for shares on our Facebook, Instagram and Twitter accounts later today. 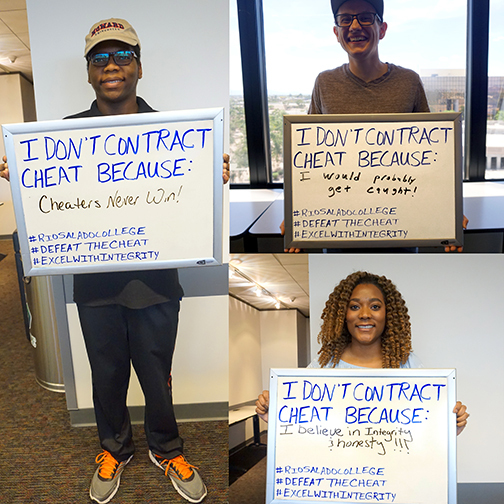 Rio Salado is a proud member of the International Center for Academic Integrity (ICAI), which is leading the International Day Against Contract Cheating effort. While there are no excuses and the consequences are great, the stress and pressures of school can make it tempting and sometimes irresistible for students. Most of us are familiar with cheat sheets and copying homework, but there’s a new kind of cheating called Contract Cheating. Contract Cheating is a “form of academic dishonesty where students get academic work completed on their behalf, which they then submit for academic credit [and/or advantage] as if they created it themselves,” according to www.contractcheating.com. We encourage you to take advantage of our Resources for Academic Success toolbox, Student Success videos, Tutoring services and Counseling teams. 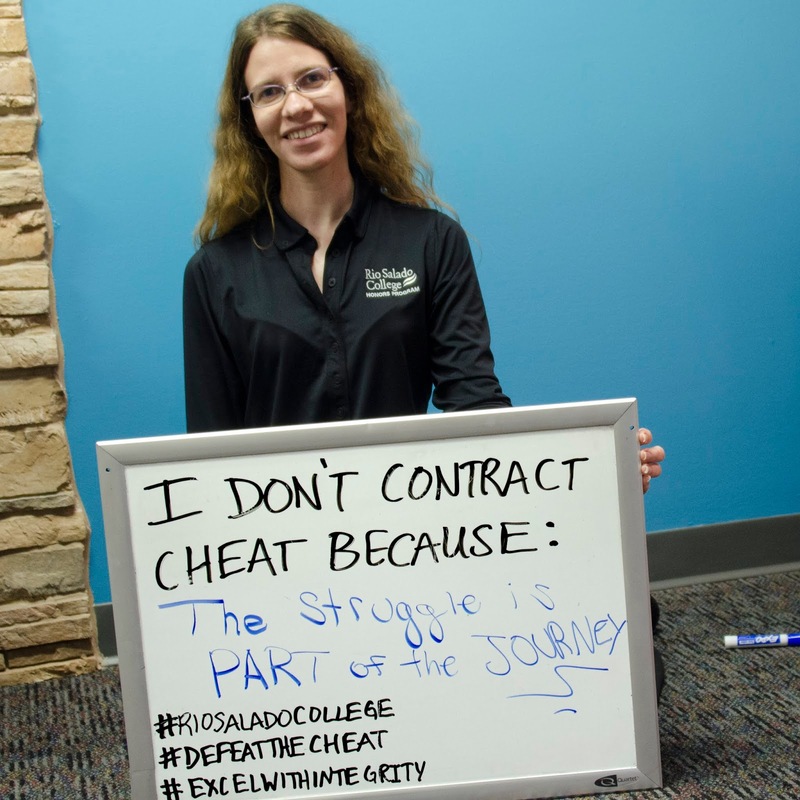 Learn more about Contract Cheating by visiting www.contractcheating.com or contacting Rio Salado’s Academic Integrity team academic.integrity@riosalado.edu.